We are pit bull lovers who have fallen in love with these dogs. Pit bulls come in all sizes and colors. They have different ears and varied temperaments. They can be black, brindle, white, brown, tan etc. Some can live with cats and small dogs. Some are fantastic with and very tolerant of small children. Some will make wonderful therapy dogs. Many are very athletic but some are lazy couch potatoes. Some are extremely smart and some not so much! 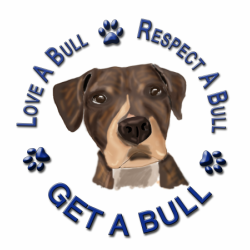 While most of our Avail A Bulls are rescued from local animal shelters, we also assist in rehoming pets for owners whom can no longer keep their pets. Please review our Adoption Process and list of current Avail A Bulls for specific details on each pet. Most of our dogs are in foster homes so if you have any specific questions, please contact us so we can ask the foster parent(s). If you think you have found your perfect match, please fill out our Adoption Application.